8 December 2016 – Abdulaziz al-Shubaily is a Saudi human rights lawyer and founding member of the Saudi Association for Civil and Political Rights (ACPRA). For years he represented prisoners of conscience, women activists, and fellow ACPRA members. In June 2016, the Specialized Criminal Court (SCC) sentenced al-Shubaily to eight years in prison as a result of his work with ACPRA. As one of the last members of ACPRA to be sentenced to prison, al-Shubaily’s conviction is a setback for democratic reform advocates in Saudi Arabia, and illustrates the tremendous sacrifices human rights lawyers make in pursuing justice under authoritarian regimes. Born in 1985, al-Shubaily is one of ACPRA’s youngest members. He contributed to ACPRA’s efforts in providing support and representation to victims of the kingdom’s human rights violations. In March 2013, Saudi authorities arrested 13 women who protested outside the Bureau of Investigation and Public Prosecution (BIP) in Buraydah in demand of the release of their arbitrary detained relatives. Al-Shubaily represented the women during their trial in the SCC, defending their right to peacefully demonstrate, even though he himself was under investigation by Saudi authorities at the time. Abdulaziz al-Shubaily also served as the legal representative of nine of the 11 ACPRA members who have been prosecuted since December 2012. 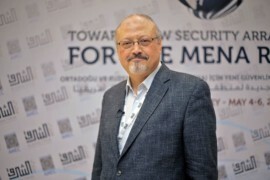 As a result of his work on behalf of the rights of prisoner, al-Shubaily was one of the most vocal critics of the Saudi criminal justice system and its conflation of peaceful dissent with terrorist activities. Al Shubaily went out of his way to illustrate how authorities use broadly worded anti-terror legislation to target the kingdom’s critics. “They characterize you as a terrorist because you ask the kingdom to do something it does not want to do” he explained to the Washington Times in February 2014. “If I call for the release of someone from jail for being held longer than their sentence, I can be tried for ‘asking the state to take action’; When I call for a constitutional monarchy, I can now be charged with terrorism,” al-Shubaily claimed. A few months after this interview in 2014, Saudi authorities levied their own series of politically motivated accusations against him. In September 2014, the public prosecutor brought al-Shubaily’s case before the SCC on a number of charges. These included “spreading a statement which calls for continuous demonstrations,” “describing judges as unjust and lacking integrity,” and “accusing security forces and senior officials of suppression, torture, assassination, enforced disappearance and violating human rights.” After fourteen hearings, the SCC sentenced him to eight years in prison and followed by an eight-year travel ban. Al Shubaily has since appealed the decision and is at liberty awaiting the final verdict. U.S. officials should urge Saudi authorities to overturn his sentence and demand the immediate release of all political prisoners, including al-Shubaily’s ACPRA colleagues. Leah Schulz is an Advocacy Fellow at ADHRB.